Tek-Mesh termine les tracas de la pluie branché gouttières. 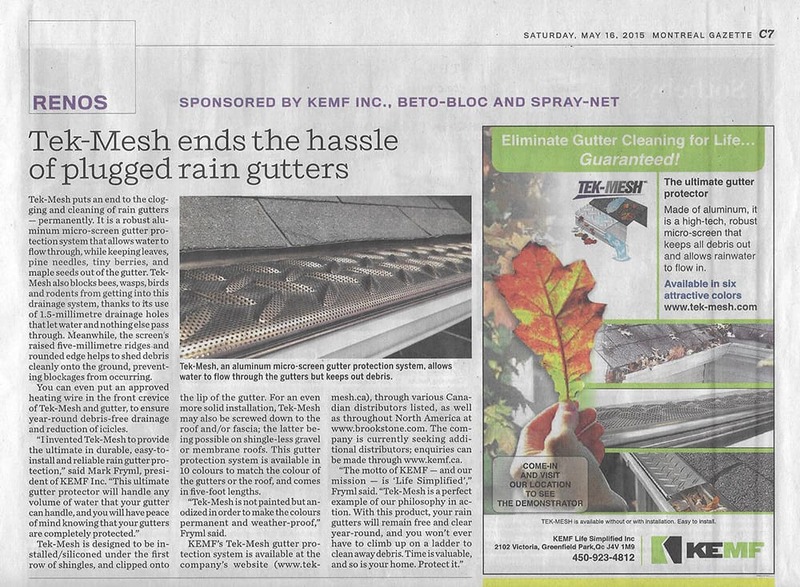 Tek-Mesh puts and end to the clogging and cleaning of rain gutters – permanently. 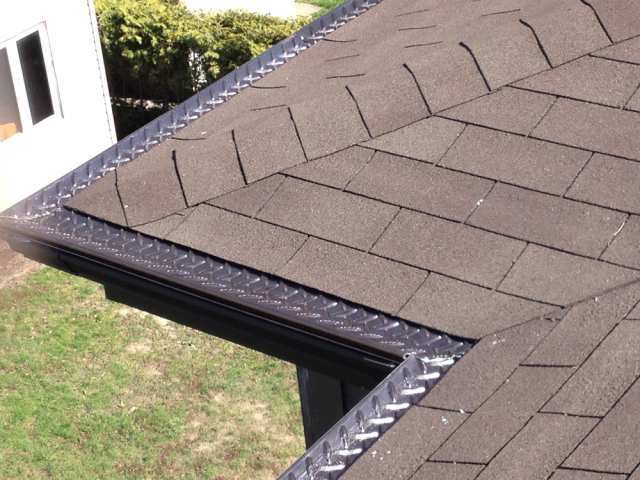 It is a robest aluminum micro-screen gutter protection system that allows water to flow through, while keeping leaves, line needles, tiny berries, and maple seeds out of the gutter. Cliquer ici pour lire l’article au complet.